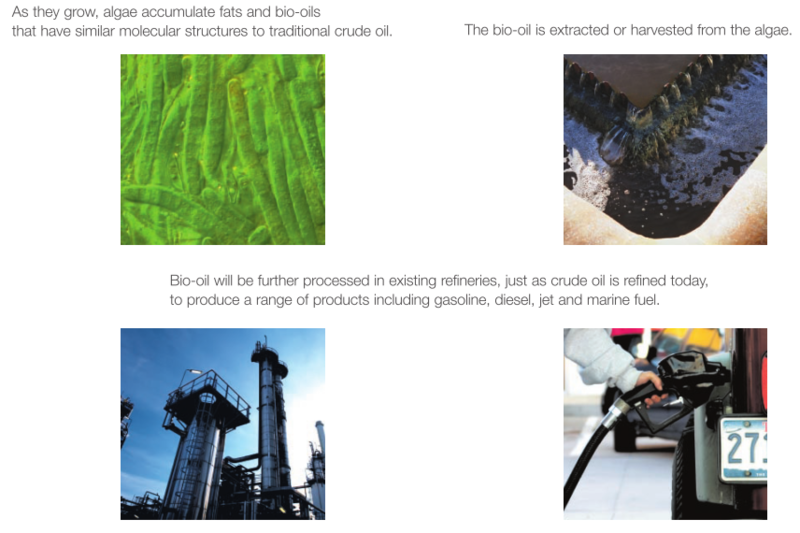 AMYRIS - Amyris’s initial portfolio of commercial products is based on Biofene®, Amyris’s brand of renewable farnesene, a long-chain hydrocarbon. These products are commercialized under the Amyris No Compromise® renewable platform in global industry sectors to include fuels, specialty chemicals, polymers, lubricants, cosmetics and flavors & fragrances. Amyris and Total have partnered to develop an alternative aviation jet fuel made with a sustainably-sourced hydrocarbon using Amyris's proprietary synthetic biology platform.In 2012, Amyris successfully demonstrated its renewable fuel in flight when a GE-powered Embraer jet operated by Azul Airlines flew in Brazil, as pictured below. At the Paris Air Show, in June 2013, our renewable jet fuel powered an Airbus A321 in France. In September 2013, Brazil's GOL Airlines announced plans to use the fuel in its fleet of Boeing 737 aircraft possibly as early as the 2014 World Cup. In January 2014, UAE's Etihad Airways flew a Boeing 777 on a blend of our jet fuel and launched a sustainable aviation partnership. CELLANA - Cellana, a leading developer of algae-based bioproducts, uses the most productive plants on earth—marine microalgae—to photosynthetically produce its ReNew™ line of Omega-3 EPA and DHA oils, animal feed, and biofuel feedstocks. 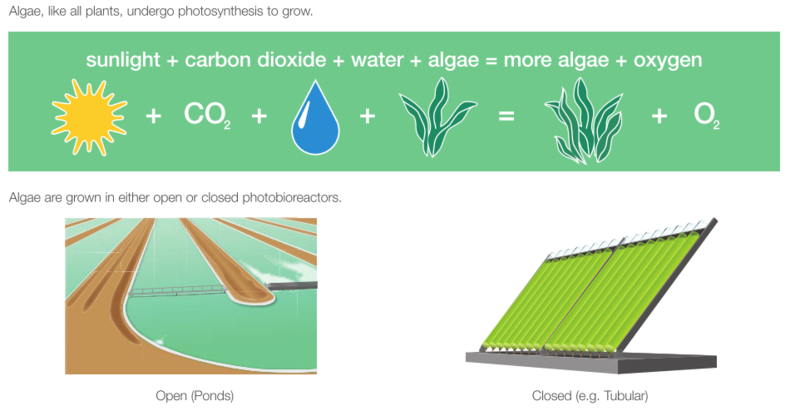 Cellana’s patented ALDUO™ system, a series of photobioreactors coupled with open ponds, enables low-cost, continuous production of diverse strains of microalgae. Since 2009, Cellana has operated its Kona Demonstration Facility, a 6-acre, state-of-the-art production and research facility in Hawaii.To date, over 20 metric tons of whole algae (dry weight) have been produced using Cellana’s ALDUO™ process with highly diverse strains, making ALDUO™ one of the most flexible, thoroughly tested, and validated outdoor algae production technologies in the world. CIBUS - Promotes a "Rapid Trait Development System (RTDS™)" as the next generation precision gene editing technology that has been used to develop new and beneficial characteristics by modifying cell function. This enhanced process enables site specific changes that, given sufficient time, could occur in nature. This technology has applicability in the agricultural, industrial lubricants, food ingredients and health care markets. RTDS is based on altering targeted genes by utilizing the cell's own gene repair system to specifically modify the gene sequence in their native location. This technology uses a proprietary Gene Repair OligoNucleotide (GRON) to direct a cell's own DNA-repair system to make a specific desired change in a targeted gene. This procedure effects a precise change in the genetic sequence while the rest of the genome is left unaltered. Unlike conventional transgenic GMOs, foreign genetic material is not integrated, yielding the development of safer, natural, more reliable and efficient traits. The Company's technology uniquely harnesses nature's genetic diversity. Its ability to edit native systems, along with its unique cell culture capabilities, enables Cibus to generate precise and efficient traits. This, combined with its non-GM approach, allows for a more cost effective and faster commercialization into new and existing markets. RTDS has been proven in many organisms, including yeast, bacteria, plants and animals. IDIVERSE - iDiverse's proprietary ProTectAll™ transgenic technology includes genetic sequences which, when placed in cells, allow the resulting transformed cells to fend off a variety of stresses that occur in the bioproduction process. This will enable these cells to produce more product (ethanol, enzyme, or pharmaceutical) than comparable cells lacking this genetic sequence. iDiverse is targeting the production of fuel ethanol as a first application of this technology. Fuel ethanol is produced by the fermentation of a carbohydrate substrate by yeast cells. In this process, yeast is severely inhibited in reaching its full productive potential by a variety of stresses including rising alcohol concentration, low pH, high temperature, bacterial contamination, and dissolved chemicals. We believe that yeast transformed with our genetic sequence will be able to fend off the effects of these stresses, enabling the yeast to maximize its ability to produce alcohol. iDiverse works with genetically modified plants incorporating ProTectAll™ transgenic technology - these should be resistant to a wide range of fungi and viruses. They will be able to fend off cold, drought, heat, and salt. They will require less pesticide, fertilizer, and water to achieve better yields. They will be able to be grown on less than optimal land under adverse conditions. They will be less costly to grow, provide higher yields, and be friendlier to the environment. In addition, iDiverse also provides contract screening and testing services to companies wishing to asses their sequence libraries for stress resistant genes. SAPPHIRE ENERGY - Sapphire has four facilities in California and New Mexico. In 2011, the company began construction of the Green Crude Farm, the world’s first commercial demonstration algae-to-energy facility in Columbus, New Mexico. This project was awarded $104 million in federal funding, including a grant from the United States Department of Energy and a loan guarantee from the United States Department of Agriculture. Construction of Phase 1 of this demonstration site, which includes one hundred wet acres of algae ponds and all the processing equipment needed for the facility, was completed on-time and on-budget in 2012. The Green Crude Farm has been in continuous operation ever since. In 2013, the Company announced the repayment of the remaining loan balance in full from the USDA after receiving additional equity from private investors. Sapphire Energy has established itself as the industry leader in algal fuel technology. In 2008, the Company successfully produced 91-octane gasoline from algae that fully conformed to ASTM standards. In 2009, Sapphire Energy participated in Continental Airlines Boeing 737 and JAL Boeing 747 test flights providing algae-based jet fuel. That same year, the Company provided fuel for the world’s first cross-country tour of a gasoline vehicle powered by a drop-in replacement fuel from algae-based Green Crude. In 2013, Sapphire signed its first commercial customer, Tesoro. SG BIOFUELS - SGB's industry-leading global breeding, plant genomics and agronomy platform is developing high-performing energy crops with significantly improved yields and profitability. In 2007, SGB began developing a breeding and biotechnology platform based on a robust germplasm foundation. SGB currently possesses over 12,000 genotypes of Jatropha representing approximately 600 accession families. The accessions exhibit a considerable degree of phenotypic diversity including larger fruit clusters, larger fruit and seed size, oil content, variety in plant habit, disease resistance and insect tolerance. Breeding and selection of Jatropha curcas (a non-edible shrub that is native to Central America) produces high volumes of plant oil, as well as biomass and protein. Because it is a non-edible feedstock and can be effectively harvested on abandoned land that is considered undesirable for food crops, it does not compete with global food supplies. SOLAZYME, Inc. (NASDAQ: SZYM) is a renewable oil and bioproducts company that transforms a range of low-cost plant-based sugars into high-value tailored oils. Headquartered in South San Francisco, Solazyme’s renewable products can replace or enhance oils derived from the world’s three existing sources – petroleum, plants and animal fats. Initially, Solazyme is focused on commercializing its products into three target markets: (1) fuels and chemicals, (2) nutrition and (3) skin and personal care. Solazyme's oils and fuels provide compelling solutions to increasingly complex issues of fuel scarcity, energy security and environmental impact while fitting into the pre-existing multi-trillion dollar fuel infrastructure. SYNTHETIC GENOMICS INC. - SGI is currently working in three broad projects areas of Renewable Fuels and Chemicals (alliance with ExxonMobil Research and Engineering Company to develop algal biofuels), Microbial-Enhanced Hydrocarbon Recovery (collaboration with BP), and Sustainable Agricultural Products (through the company, Agradis which was jointly formed with Plenus SA de CV). Specifically SGI is designing metabolic pathways for the production of biochemicals and next generation biofuels from a variety of feedstocks, developing biological solutions to increase the conversion and recovery rates of subsurface hydrocarbons, developing advanced plant feedstocks and microbial agents for agriculture. SGI is designing next generation cleaner fuels and chemicals that can be produced from a variety of broadly available, cost-effective, non-food feedstocks: http://www.syntheticgenomics.com/what/renewablefuels.html. VERDEZYNE - Verdezyne has developed a highly-proprietary platform for engineering yeast to metabolize multiple non-food-based renewable feedstocks and produce a number of widely-used, high-value chemicals. Yeast is used as a host because it differs in many ways from other microorganisms, such as bacteria, that make it ideal as a robust host for large-scale commercial fermentation. First of all, yeast is capable of fermentation in acidic conditions which inhibits contamination by other microorganisms. Secondly, yeast is not vulnerable to infection by naturally-occurring viruses called bacteriophage that can infect and destroy bacterial fermentations. Lastly, the production yeast we use has two chromosome copies (diploid) which provides the stability of genetic redundancy compared with bacterial systems which have one chromosome (haploid). Verdezyne's proprietary yeast fermentation technology produces a variety of intermediates used in nylons and other plastics. The feedstock-flexible platform allows yeast to utilize a variety of plant-based oils and their by-products to produce e.g. Dodecanedioic acid (DDDA) - Dodecanedioic acid (DDDA) is used in the production of high performance nylon 6,12, molding resins, in addition to lubricants, adhesives and powder coatings. It is traditionally produced from butadiene via a multi-step chemical process. Verdezyne has leveraged its yeast platform for cost-advantaged production of DDDA from low cost plant sourced oil feedstocks. With an addressable and rapidly growing market of over $250 million per year, Verdezyne's bio-based DDDA is a valuable target intermediate which will transform the nylon 6,12 market.